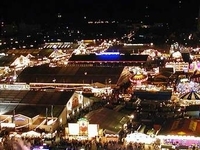 Travelers are voting Oktoberfest, INNOWA and Arschleder Sledding World Championship as the best of 66 events in Germany. Also popular are International Motorcycle Exhibition in Munich, Building-Residential & Renovate Exhibition in Heilbronn and Heimtextil Frankfurt in Frankfurt. Want more? Check out our map of events in Germany or these 8 events in Berlin.